This topic contains 24 replies, has 3 voices, and was last updated by Billy 3 years, 2 months ago. A scene at the Low Level brings back a happy memory for John Favill (Proud Old Wulfrunian) now a resident of Winsconsin U.S.A.
At the end of WW2 I was still attending school. 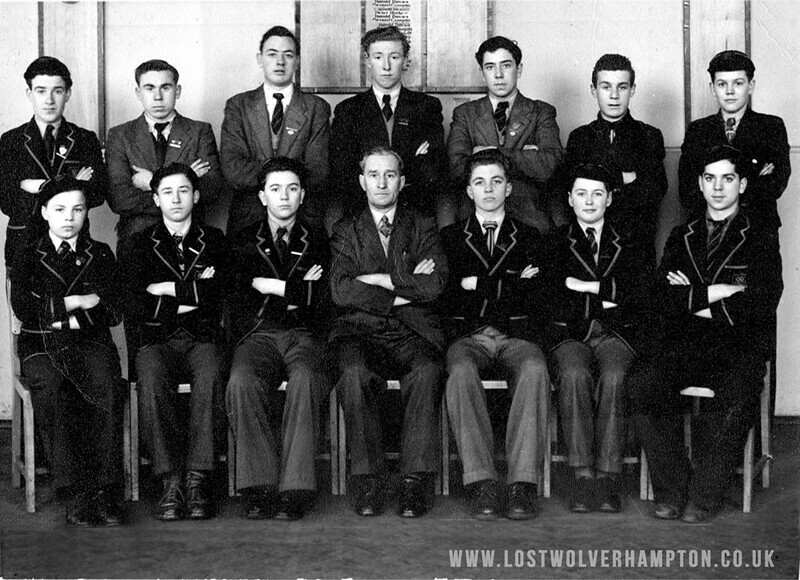 The school was located close to the centre of the town, recently proclaimed the City, of Wolverhampton in Staffordshire, England. Time of year and weather permitting I rode my bicycle the three miles to school each day and then home again after school, this allowed me to (when possible) pause under the “Colonnade’s” , linking the LMS High Level to the GWR Low Level stations. The view from the arches would show the engine and first two coaches of a train on Platform 1 usually the train from Paddington arriving usually at round about the prescribed time to correspond with my ride home. 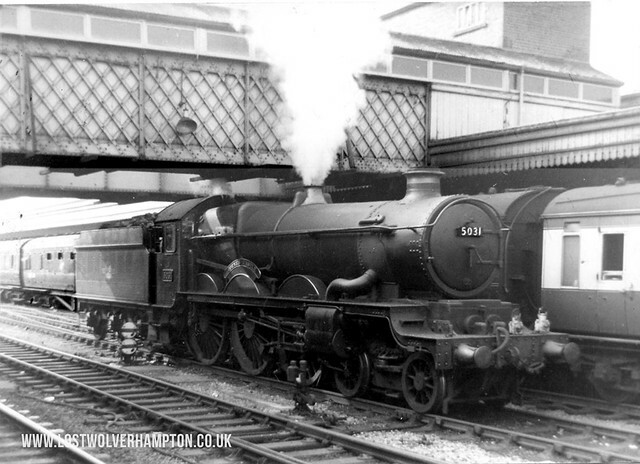 The engine was a member of the GWR King class and because such an engine was not allowed beyond Wolverhampton the engine was changed and the first six coaches were withdrawn also. Usually the king would move forward with the six coaches then reverse to leave the coaches in the coach shed. The engine would then proceed to the Stafford Road Shed SRD where it would be turned, watered and coaled. Many of the evenings I would go to watch the procedure described and also watch as dead engines were pulled from the engine shed to the sound of the air being pulled into and pushed out of the cylinders. even without looking one could tell how many cylinders a particular engine had. The names Sunbeam and Guy,. – What fantastic images they conjure up for any old Wulfrunian over 50. By the early 1930’s orders for Trolley vehicles was split between Guy and Sunbeam. One of those vehicles, No. 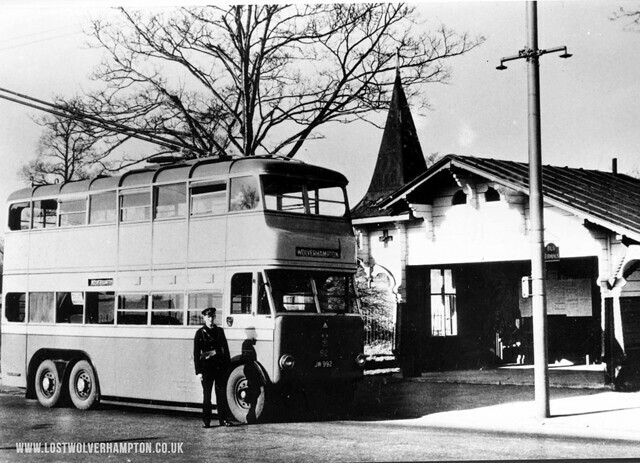 92 is seen here alongside the chalet at its Tettenhall Terminus. This was a Sunbeam MS2 with a Weymann 59-seat body. Who nowadays doesn’t regret the passing of this old fashioned form of transport and who doesn’t have a story to tell of their own trolley-bus trips. 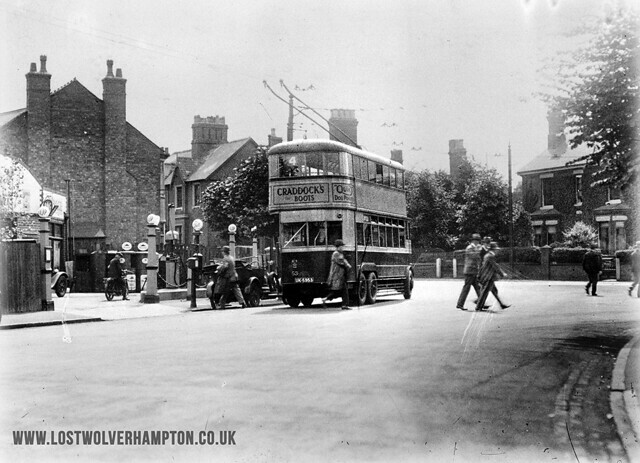 It may have been on one such as above The No.1 service to Tettenhall Rock and a summer visit to the paddling pool. Whatever the circumstance lets hear from you and perhaps we can find a picture to suit. The photos of trolley buses bring back memories of cycling behind them! I cycled to St Chads College from my home in Upper Villiers St from 1944 to 1948. Sometimes went through the city centre and sometimes via the Wednesfield canal towpath. 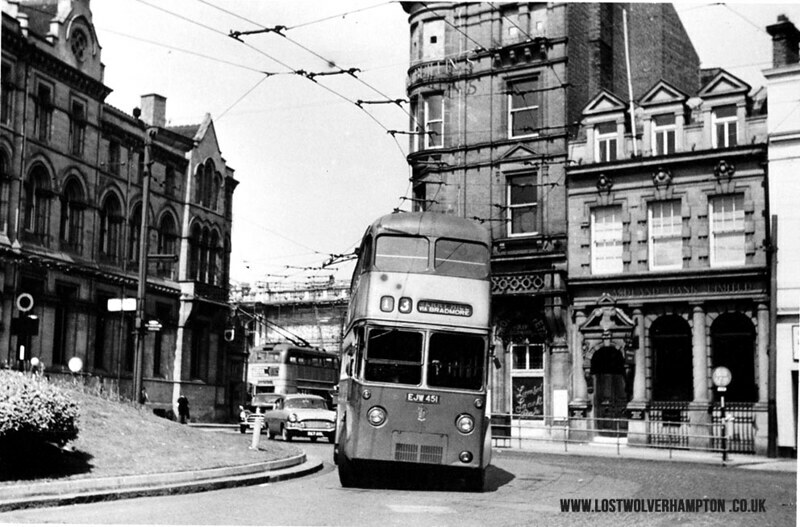 When returning via the city (it was still a town then) we used to wait at the bottom of the Elephant and Castle hill where Cannock Rd joined Stafford St till a trolley bus came along then hitch a ride by holding onto the pole on the entry deck. Conductors would yell at us to let go but I only did when we reached the Elephant & Castle pub on the corner. My parents would have had a fit if they had known. Was taking a chance because I had an uncle who lived on Culwell Terrace adjacent to the pub. I understand these places are long since demolished to facilitate road construction. The cracking entrance to Herbert Street Goods Yard in the early 1950,s. I can remember at the time just after the war this area around Littles Lane and Broad Street Basin was our playground and one of the many dares we used to do at that that time was to scale this formidable entrance and scrawl across. Herbert Street remained open until about 1974 , after which Carvers acquired the premises . 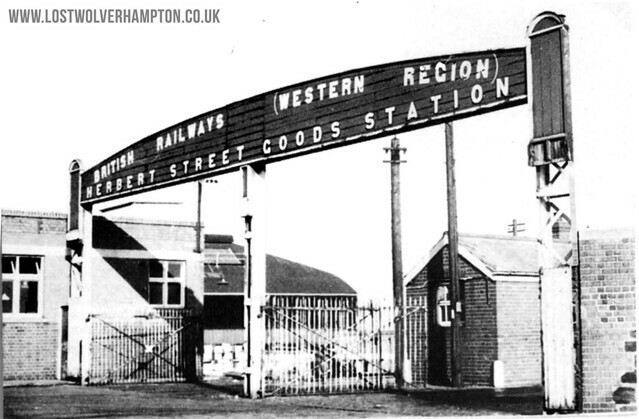 and we lost this ornate 1931 Goods Station entrance. at the bottom of Littles Lane. But the single story former GWR offices were retained and have fortunately survived the fire, so hopefully a vestige of the “old days” will remain. 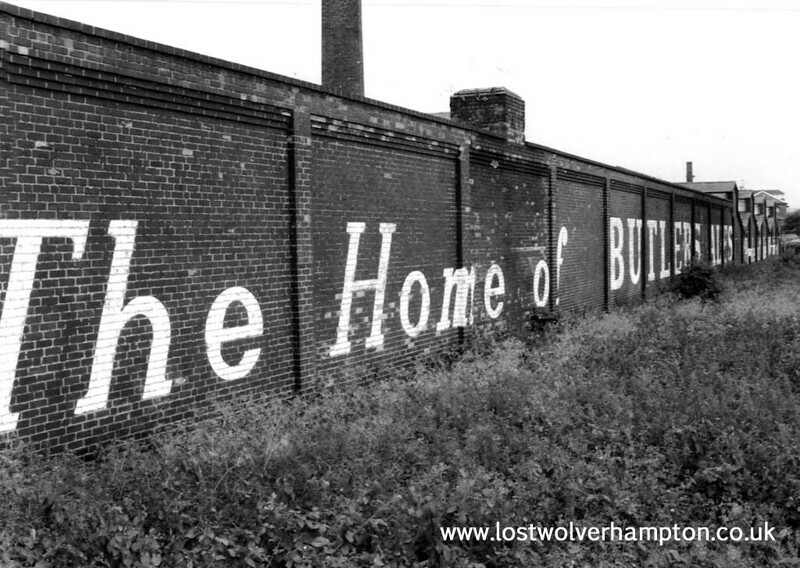 He was a shining light for old Wufflers in the dark days just after the war and Wolverhampton’s legacy was certainly enriched by Express and Star artist Arthur Arrowsmith for it was he who gave us priceless works of art for the price of a three halfpenny newspaper. 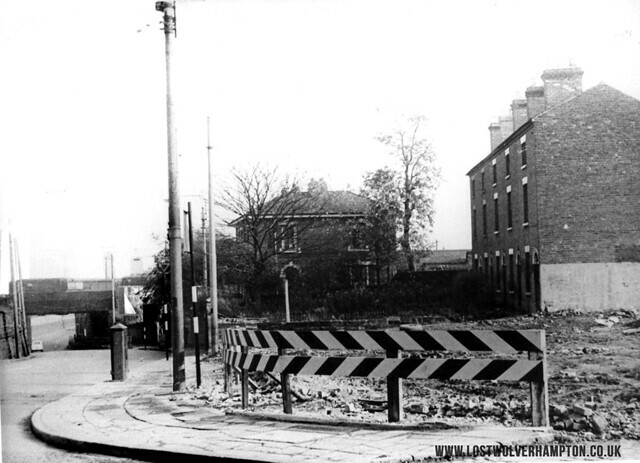 From Faulkland Patch across great Western Street into Littles Lane and finally Lock Street For many an afternoon adventure sitting on the Air Raid shelters by the disused Victoria Basin. Yes Roy I remember it well. 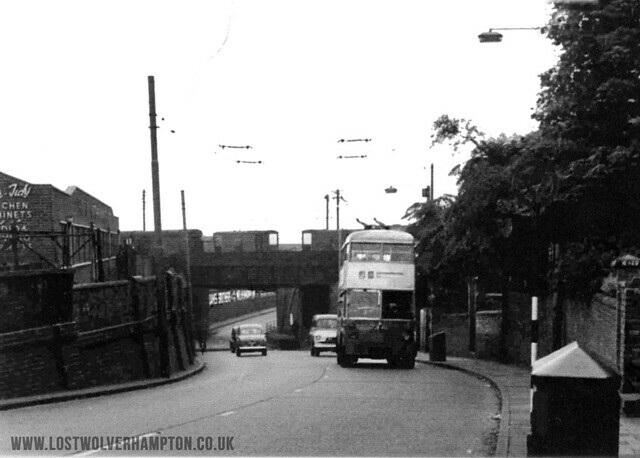 This is the scene John here at the top of Cannock Road But this is 1964, But I can imagine you holding on the the pole here as the bus passes Gret Western Passage. Was that elevated row of terraced houses that once adjoined the Elephant and Castle known as Culwell Terrace I always thought it was Cannock Road Terrace. What was your uncles surname John. Just love that picture Billy – exactly as it was in 1948. Yes it was under the bridge where we used to hang on & if you couldn’t get hold of the pole the other option was to ride hard behind in the bus’s slipstream, We knew it as Culwell Terrace. The house there was originally my Grandparents on my mother’s side and their name was Ellis. Grandad Ellis died before I was born and Grannie died during the war. She died the night Wolverhampton was hit by incendiaries most of which fell harmlessly in gardens. Remember going round collecting the flights off them the next day also there was a crashed german plane in Wednesfield as I remember it. The house passed on to my Uncle Frank & Aunt Vera. I am still in touch with their son John who now lives in the north of England. We did so much cycling as kids – it’s sad that today’s kids all get taken to school in cars. Come to think of it there were terraces on both sides of the road at the top of Cannock Rd – I think one was Cannock Terrace and the other Culwell Terrace. Uncle Frank was an avid Wolves supporter and will never forget how he complained after a bad result that he felt he didn’t get his eighteen pence worth. He always stood in the “cowshed” end. What does ground entrance cost now? This photo John as you may recall shows the top of Cannock Road from Stafford Street circa 1970’s. The waste ground has been left by the demolition of the Ansells Public House “The Junction”. I had a schoolfriend Terry Thompson who lived at “Culwell House” the large detached next to the terrace on the side of Great Western Passage. Although I can’t picture him now There was a Frank Ellis living at No. 14 in the 1950’s, and I can remember the Five houses if i’m correct that formed the Terrace. The houses were three storey’s high with cellars beneath each one, entrance to the cellars was from the living room and outside each front door, was a manhole cover so coal deliveries could be placed into the cellar. The terrace was fronted by large gardens from the Cannock Road. The memories come flooding back. I had forgotten that the Elephant & Castle pub was actually on the rhs of Cannock Rd coming up the hill. Yes the Frank Ellis yo remember was certainly my Uncle Frank, long since deceased. Frank & Vera had only 1 child, John, who spent time in Africa & visited my brother Derek in Harare a few years ago. Your description of the terraces also brings back memories not all of the pleasant! I remember visiting Granny when she was on her death bed & thinking how dark and gloomy the house was & yes I remember the cellar which was accessed via a steep staircase. During the war you had either an Anderson shelter which we had which was buried in the garden (I remember helping dad dig the hole for ours) or a Morrison which you installed under a strong table inside the house. Granny had a Morrison & I had a terrible feeling of claustrophobia on the one ocassion I was in it. 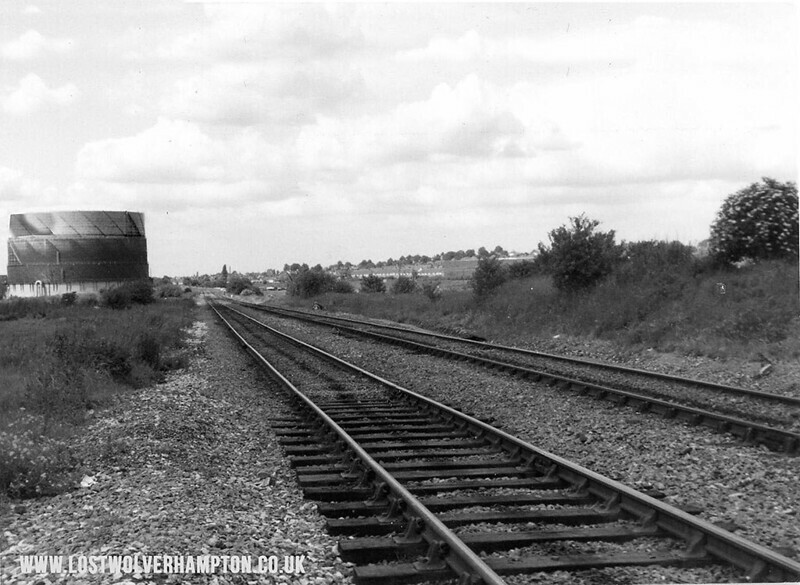 Come on – Who will be the first to tell me where this stop to Wolverhampton is. Do you know what street they operated from at that time just after the war.? showing a glimpse of a small section of the old line. In order to extend the fullest facilities to those persons wishing to travel to London, for the State opening of Parliament tomorrow, 27th May 2015. It has been decided to run A SERVICE OF TRAINS along Permanent Way not normally open to traffic. In pursuance of this polIcy the HIGH DUNSTALL & BUSHBURY to MONMORE ON THE GREEN section of the former Shrewsbury and Birmingham Railway, later incorporated in the Great Western Railway, and abandoned as derelect , in 1975, will be reopened to Passenger Trains , until further notice. Provision has been made for trains in only one direction, viz. up, and and the question of providing a return service will be dealt with if and when it arises. Return tickets will not be issued in respect Mobility Carriages (not folded). Bicycles, perambulators. or Dogs accompanying passengers will be conveyed at double fare for the single journey. 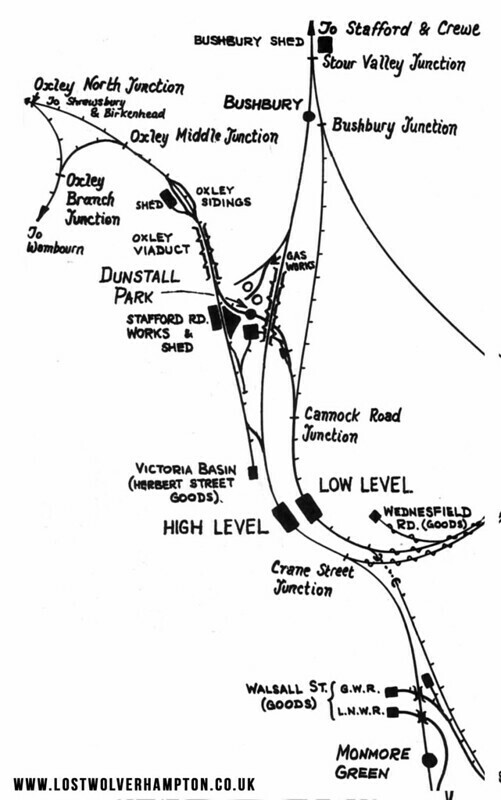 The High Dunstall branch line is now one of the most disused in the country. the first 20miles of which lie in a little known stretch of Shropshire steeped in ecclesiastical and feudal etymological interest. The first section of the track was laid in 1852, and was relaid the following year with more seasoned sleepers. In 1886 the construction of the viaduct of the Smetstall at Gosbrook paved the way for the extention of the track from Aldersley to Wolverhampton. This viaduct (which incidentally , has fewer pillars in his length than any other in Europe) was built by Ferguson McNab, the designer of the old Horseley Fields Bridge which collapsed in 1935, which it was said stood up remarkably well to a weight of traffic for which it was never intended. McNab was also engineer in charge of the famous “angular tunnel” which once ran from beneath the cellar of the Great Western, Sun Street to Chillington Fields, which was begun at each end independentley, and although the tunnel is a mile long the two teams reached the middle within 30yards of each other. Well I knew Terry well. I was sorry to hear from Pat That Terry had past away.For anyone who went to St Josephs School who may have known Terry Here is a picture to stir the memories. Terry is sixth on the right back row, can you name any of the other chaps. Another tongue in cheek report on “Permanent Way” for all interested “Wufflers” from our young at heart editor -Billy Howe. I have been asked to show more details of the line in question, now defunct . So here is a rough plan from recent years. 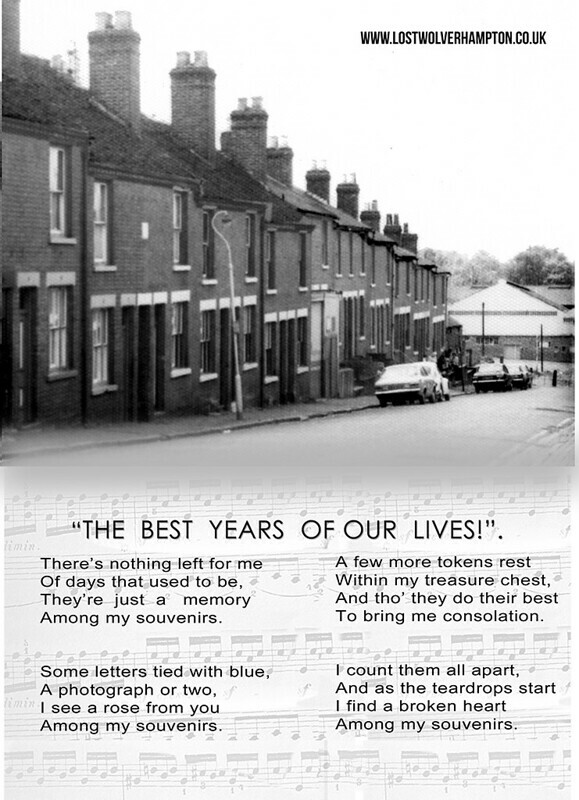 There is an article in the Black Country Bugle this week 2nd July 2015, were a reader recalls the heady 1950’s and life around Herbert Street Goods Yard. He posted the above picture and tells a story regarding the delivery of tomatoes from the Channel Islands. at that time. 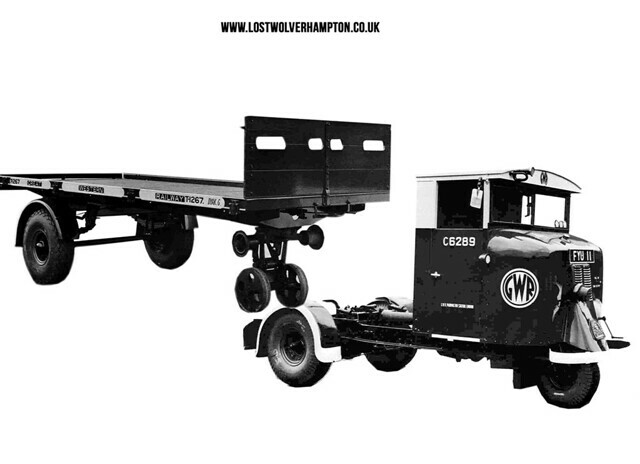 I worked in the Wholesale Market as a young groundsman during the 1950’s and I recall some of the draymen on his Goods Yard photo, and remember them calling with their Scammel 3 wheeled Mechanical Horses on their deliveries to the market. It was usually early afternoon when they would arrive from the goods yard and pull up alongside the various tomato pitches. I recall the first Guernsey tomatoes coming to the markets around April, full over flavour and you knew spring was here. Non of the thick skinned tasteless produce you get today specially packed for the supermarkets this produce had taste. The tomatoes arrived on a daily basis, various quantities, packed in small 12ib wooden chips (small hand made boxes with handles) with coloured tissue paper in each box to denote the variation in quality Pink & White was the top quality down to Blue misshapen , all with a mouthwatering taste. A few weeks later the Jersey tomatoes would arrive in a similar way. And didn’t we appreciate it. Lots of people regret the passing of the Trolley Bus era they finished in the 1960’s . It was on its final countdown here in 1976 But I still recall some of the best times and the worst times living in that grand cul-de-sac. 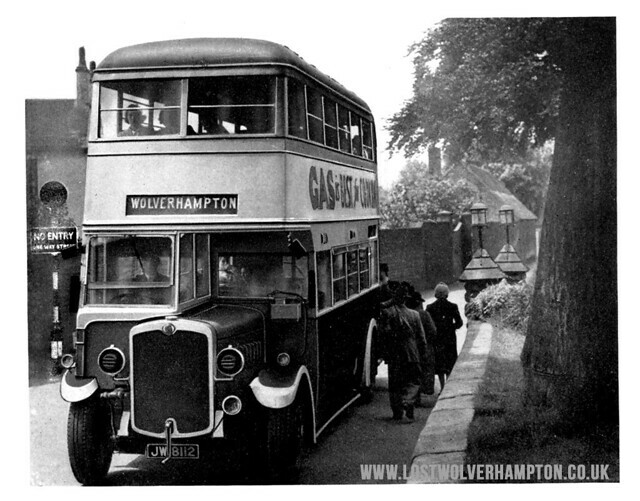 I was born in Walsall in 1930, and lived my school years, in Wolverhampton Road – my love of trolley buses, dates from birth! – so quiet, and comfortable – and cheap! my love of Wolves, dates also from that time, and my first job, was in Broad Street – at the BCN Top Lock, where I trained as a Toll Keeper. My father was a Watchmaker, in business in Walsall whilst Mother was a Printer – Letterpress, and worked for the Walsall Observer newspaper. My earliest and fondest memory- of my time, working in Wolverhampton was enjoying a roast dinner, at the Dining room, just in Piper’s Row! Welcome to the forum 1930! you have a good chance of being our oldest active member . You must have many stories you could tell us about the Boatees that pursued their livleyhood at that time around Broad Street and Horseley Fields. So please now you have me hooked dont end it here. Hi Billy, And all who read these recollections. 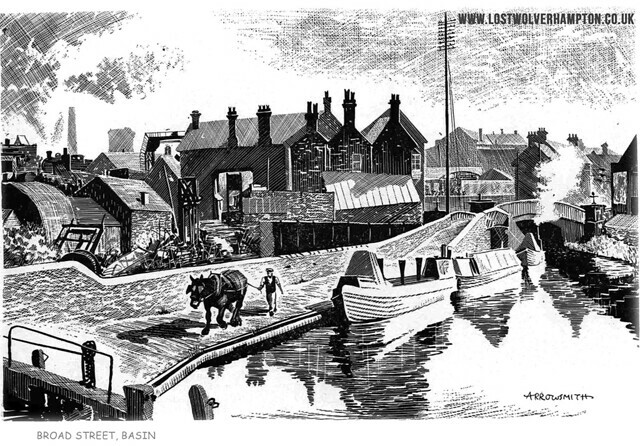 I can often, when day-dreaming recall the names of many of the barges, and butties that came through the Top Lock – and one of the most memorable must be the Midland Tar Distiller’s DAILY barge – horse drawn, by ”Major” with its 22 Ton load of Tar, from Stafford Road, to Monmore Green. Memories are wonderful things – and Humour, is no exception, with me! – I was being trained by Mr Alf Cresswell, who lived somewhere down Wednesfield Road. One Particular vessel, belonged to Accles and Pollock, and carried Shells, heading North. 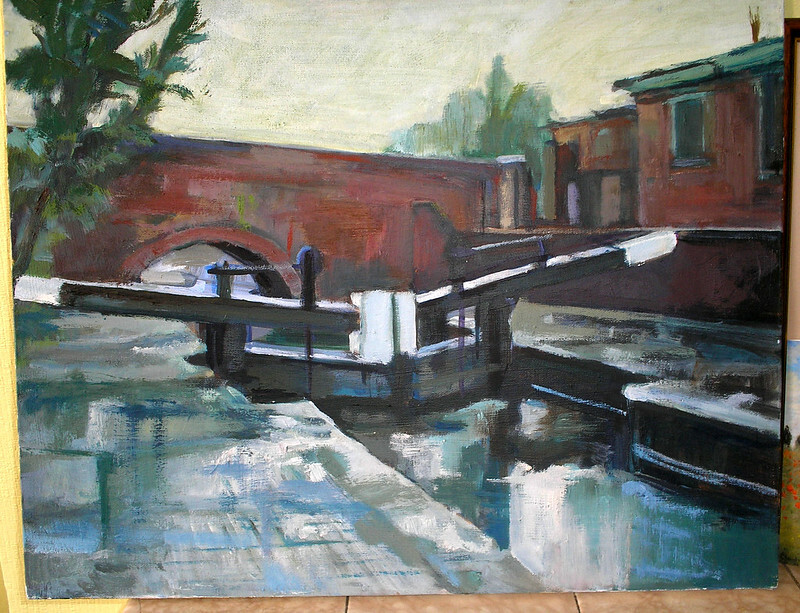 It was always referred to by either Mr Cresswell, or even the Lockkeeper ‘Thomas’ who lived down the flight in a Canal Company Cottage – ”get ready, Accles and Dirty names is coming with a load for Jerry”…(the year was 1944, and the war was still on, with the Blackout etc.,) The Toll Office, was lit by Calzor Oil Lamps, inside and out, when I first started,(subsequently fitted with Gas) and my first job every morning, was to clean the lamps, top them up, trim the wicks, and clean the glasses – also mop the wooden floor, using soft soap, empty the ashes from the fire grate, and black lead the grate, set the fire, and get it lit – we made our own tea, and most days, I cooked my dinner, and sometimes that of Mr Cresswells. We had very large ledgers, which contained the records, of size, weight and dunnage of every boat registered with the BCN from when it was ‘gauge plated’._ so I was also taught how to ‘update’ all information. Excitement will eventually be recalled for all who read these observations! Hi Don That certainly brings back many memories for me. Fellows Morton & Clayton some families making to journey’s daily From Monmre Green to the Gasworks. What memories do you have of Albert Basin ? was it really known locally as the baby arm. Have you any photos of the locality? No Comments? – Must try harder! In my life time I can honestly say I have been lucky enough to have never lived above half a mile from a Steam Railway Does that says it all.. I once watched the famous Wolverhampton Sign writer re-paint this slogan.